Cuban migration has fragmented families, couples, friendships and communities, becoming a unifying element, a part of Cuban identity. Join us for the New York premiere of Departures, a performance that grapples with the phenomenon of Cuban emigration from 1959 through the present, and seeks communion with its audiences through personal history. 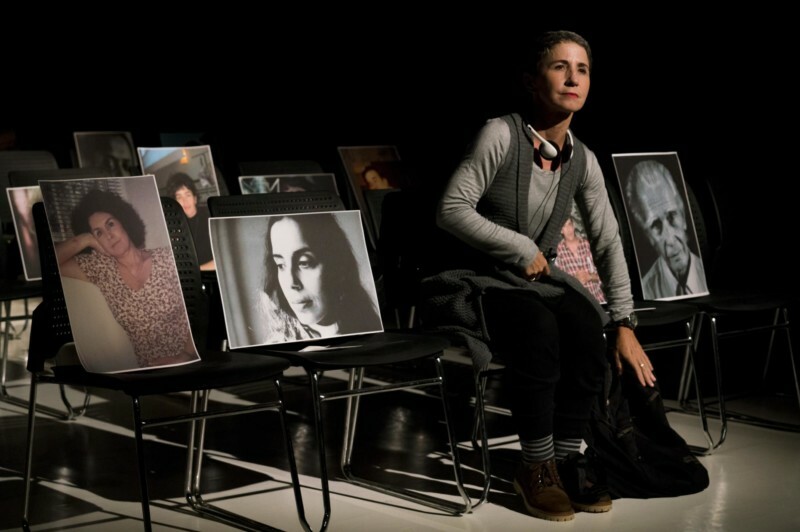 Presented by the Havana-based theatrical group El Ciervo Encantado, the performance features actress Mariela Brito as Cuba’s everywoman, telling her own story and those of the many who have departed. Surrounded by photographs of both illustrious and unknown Cubans who left to escape hunger, censorship, persecution and terror, she leads us through the national memory that is never discussed, but that is, among Cubans, an almost physical presence. Since the suspension of almost all visa processing in Havana last September, it has been all but impossible for Cuban performers to appear in the United States, making this a rare opportunity for New York audiences to engage with artists from the island. The performance will be presented in Spanish with English supertitles, followed by a talkback with the artists in English. The Greene Space thanks Cathy Barbash Arts Consulting Services for making this performance possible. The internationally recognized Cuba theater company was founded in 1996 by Nelda Castillo. Its performances and public interventions explore the margins of Cuban national and cultural identity by engaging with current emergencies, seeking to unveil invisibilized aspects of the memory of being Cuban. The company explores the dark areas of the Cuban soul in works that use the visual and sound universe as well as literary, historical, plastic, musical and dance sources in pursuit of a novel artistic language.